← Do All Bail Bondsman Cost the Same? Going to jail is a stressful and confusing time; not just for the person incarcerated, but for families and loved ones as well. The best way to relieve some of the anxiety of being arrested or surrendering to an arrest warrant is to learn some relevant facts about bail bonds in your state. This will give you some insight on what to expect and how to manage the process, from start to finish. 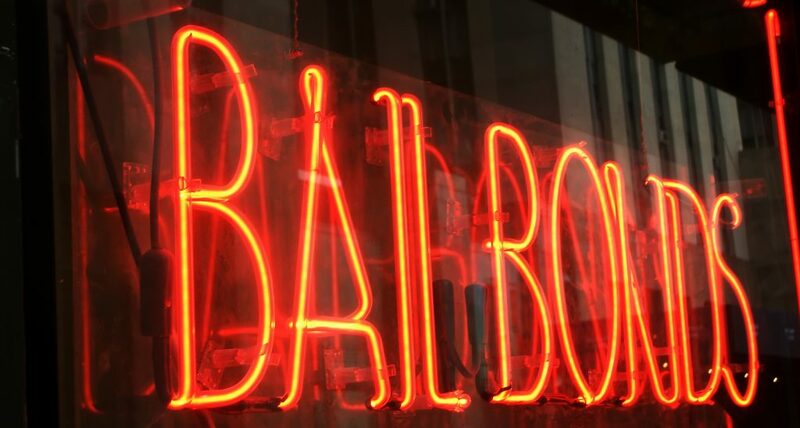 Continue reading to review some of the most common questions about bail bonds and jail, including how to find a reputable bail bondsman in your county of interest. How Long Does it Take to Set Bail After an Arrest? Following an arrest, state laws determine when a bail hearing must be scheduled. These time limits vary among states, but here in Indiana, a person can be held for up to 15 days before any bond is set. Usually, bail is set within 24 to 48 hours. Keep in mind that weekends and holidays delay this time, as they are not counted. After an individual is in detention, a bail hearing is scheduled to decide whether or not they are a flight risk, as well as, set the bail, or deny it altogether if they are considered a flight risk. Do I Need a Lawyer for Bail? You do not require a lawyer to simply obtain a release from jail. You want retain legal services once you know you or someone you love is facing criminal charges. It is important to hire a criminal defense lawyer before an initial hearing. This gives an attorney time to study your case and prepare the best defense. A defendant can get out of jail by simply paying or posting their bond. Just because a judge approves and sets your bail doesn’t mean you have to leave jail. If you prefer, you can await your schedule court hearing in detainment rather than posting your bail. Although some people forgo spending the money on a bail bond, either because they do not want to waste money or they simply cannot afford to temporarily put up the full bond amount in cash, it is strongly advised against, and for many reasons. See our blog, “5 Reasons Why You Should Not Stay in Jail While Awaiting Trial” to learn them all. Bail bond companies charge a nonrefundable fee that is a set percentage of the total bond amount. For felony charges, bond amounts will be higher, which means the cost of a bail bond will be too. The premium a bail bondsman is allowed to charge is controlled and regulated by the State’s Insurance Department. Currently, this rates are set between 8 and 15 percent. This means that the total allowable premium that bail bond companies are allowed to charge can be anywhere between these percentages. They get to choose how much they charge within this range. Where Can I Get Fast and Affordable Bail? 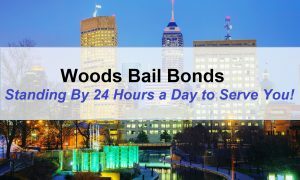 Call Woods Bail Bonds at 317-876-9600 for prompt and professional 24 hour bail bond services in Indiana. We provide 24 hour bail bonds in over 30 Indiana counties. We serve the Northern, Central, and Southern Indiana areas with safe and secure bail bonds you can afford. Right now, we are offering 8% bail bonds! Request a free estimate or information, anytime. This entry was posted in Bail Bonds, Jail and tagged bail bondsman Indianapolis, bail information Indiana, cheap bail, facts bail jail, get out of jail Indianapolis, Indiana bail bond facts, Indiana bail hearing. Bookmark the permalink.